This book is an outstanding work of Prof. Senarat Paranavitha, and it contains the cave inscriptions from 3rd Century B.C to 1st Century A.C. and other inscriptions in the early Brāhmī scripts. It was published by the Department of Archaeology, Sri Lanka. Note: This is a new book from the original print from 1970. The book is in good condition, and some pages may contain some marks(which are not disturbing the text). This book is an outstanding work of Prof. Senarat Paranavitha, and it contains the cave inscriptions from 3rd Century B.C to 1st Century A.C. and other inscriptions in the early Brāhmī scripts. 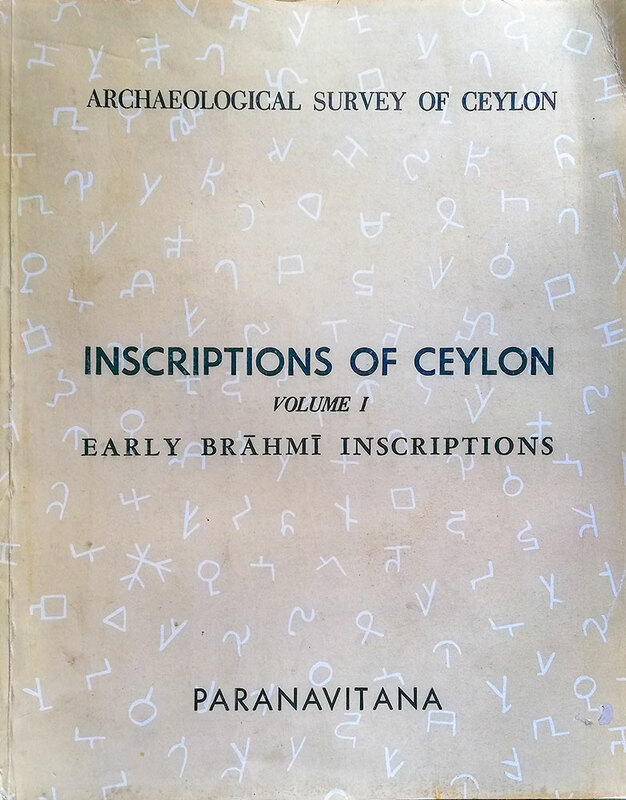 It was published by the Department of Archaeology, Sri Lanka in 1970. Delivery: 3-7 Working Days (by CertisLanka Courier Services (Pvt) Ltd ) Delivery Area: All IslandPay on Delivery: Not AvailablePlease contact archaeology.lk for international delivery. Pay by Visa, MasterCard, AMEX, eZcash, mCash or Internet Banking via PayHere.